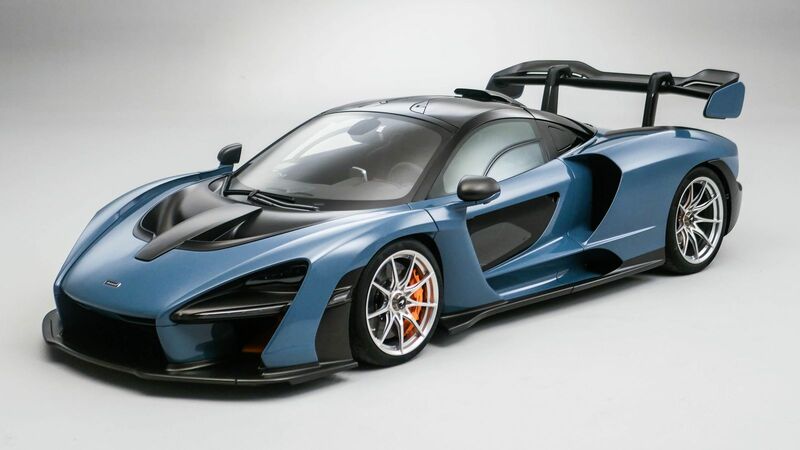 McLaren Senna- a worthy bearer of the revered name? HomepranavPSMcLaren Senna- a worthy bearer of the revered name? Ayrton Senna is a name of mythic proportions; a bundle of was-es and could have been-s. Widely regarded as the greatest driver to grace a racetrack, he became an unfulfilled talent when his life was abruptly cut short at the age of 33. As a tribute to the Brazilian virtuoso, McLaren has crafted a car,thought to be the most brutal track machine they have ever built, outside of Formula 1. Is the McLaren Senna worthy enough to carry his legacy forward? It is worth remembering that the newest addition to the McLaren Ultimate Series follows in the skidmarks of the hallowed machines, the F1 and the P1, which makes the claim all the more significant. However, Senna is not a spiritual successor to P1. The brutal performance generated by the four liter, twin turbocharged V8 derived from McLaren 720S can be sampled from an array of impressive numbers. The specs seem to follow the rule of 800 as it generates an astounding 800 PS of peak power and 800 Nm of Torque. Oh, and the giant spoiler in conjunction with the Formula One inspired roof scoop produces 800 Kg of Downforce at 155 MPH. Gah, you go, thinking that a P1 or any other hypercar can put Senna to shame with its power figures. This is when I have to impress upon you that power figures are not everything that defines the performance of a track-oriented machine. The key area the engineers at McLaren appear to have focused on is not the engine- it is its carbon fiber body and an interior which is stripped off of anything that is not absolutely required. With every pound of weight accounted for, the car tips the scales at 1198 Kg- which makes the car the lightest they have ever produced, since the legendary F1.The massive amount of Downforce, however, sticks its anorexic body on to the track while in motion. The highlight of the car- the brakes from Brembo which takes seven months to manufacture- yes, you read that right, brings the car to a standstill from 100 KPH in under 30 meters. You think the car looks fast on paper? Brace for impact. Hold on to your seat. McLaren Senna GTR- the track focused, non-road legal sister of the already track focused Senna- was revealed at the 2018 Geneva Motor Show. The GTR badge is given for a reason- the version is touted to be considerably faster and nimbler than its road going sibling. According to the sources at McLaren, it is more powerful and will feature a more race-orientated dual clutch transmission with bespoke tires from Pirelli. The reviews are extremely positive, with many of them showering praises on the stopping power of the Brembo brakes and the insane aerodynamics. Sean Carson of Auto express gave the car a five star rating, calling it “the ultimate expression of performance, yet given the acceleration, the aerodynamic grip and the braking potential it’s relatively approachable. It’s stupendous and deserves its iconic name (sic)”. Petrol heads were displeased with the way the car looks, even when it was still in the design phase. Beauty is in the eyes of the beholder, said a certain William Shakespeare. As mentioned earlier, the interior is stripped off any bells and whistles that may come attached to a multi-million dollar hyper car. Senna is track focused and hence that isn’t much of a drawback, as it may seem to be. Every single one of the 500 Sennas to be rolled out have been spoken for; so are the 25 Senna GTRs. As a matter of fact, the 500th Senna was sold in an auction for a whopping £2mn, against an MSRP of £750,000. The price is only going to skyrocket, and good luck finding one! The legacy is intact. Senna sempre.